For my #AtoZ Challenge, I'm cheating with my letter X. I know, but working with qualified and knowledgeable dog experts is incredibly important for you and your dog. When we brought Bernie home, I used several online resources to help us communicate with and start educating our guy. After a few months, though, I knew we had reached the point where we needed to attend a puppy class so a trainer would be evaluating how Bernie interacted with me and Matthew. 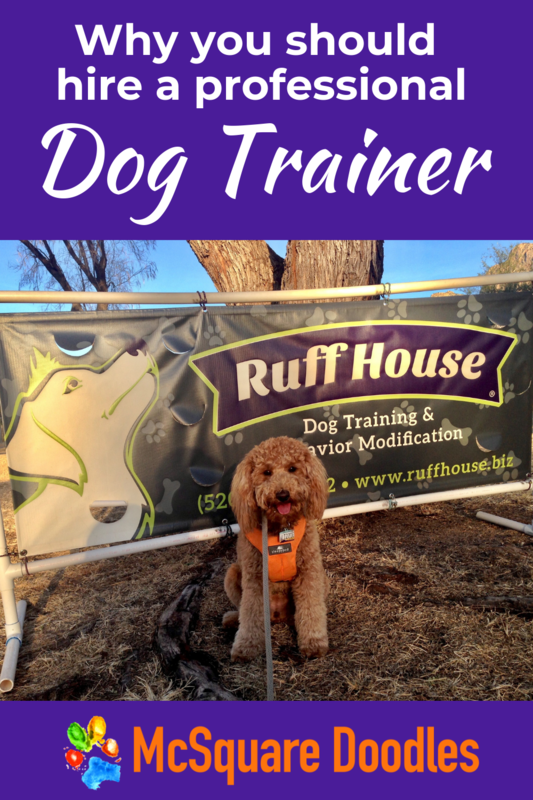 During the first puppy class with Ruff House Dog Training & Behavior Modification, one of the other dog moms who has had several dogs over her lifetime made the statement that it doesn't matter how many times she's been to puppy class. "Every new puppy attends puppy class" like every child goes to school. Working with a qualified obedience trainer sets up both you and your dog for success. What are the top three advantages to hiring a professional dog trainer? If you're starting to train a puppy or a dog who's had little to no obedience training, then staying motivated is crucial. You're bound to get frustrated with yourself and your dog. Your trainer will demonstrate techniques and explain thoroughly how you should be interacting with your dog to achieve the desired behavior. Being in a class with other pet parents means you'll see other people figuring out how to communicate with their dog too. Your dog may be the star of the class or the class clown. Either way, it doesn't matter. You're all trying to master the same skills. Every week, your trainer will be giving you feedback on how you and your dog are doing. They should be giving you guidance on how you can modify techniques to communicate better with your dog. They should be reminding you about strategies that you may have forgotten or haven't tried yet. You may even receive follow-up emails reminding you of what you learned in class that day and what your homework should be. If you're truly stumbling over certain cues, your trainer may remind you of those personalized recommendations in an email. If you invest money in taking obedience classes, you may be more likely to take the homework seriously. After a six-week or eight-week training period, you'll want to see results. You know the last class is where all of the dogs show off what they've learned and then graduate. At the very least, you should show up to every class ready to work for the session. If you've done even some of the homework, you'll see progress over time. By spending money on a trainer, you're holding yourself and your dog to a higher standard. Get access to our Resource Library to grab your FREE copy of our ebooks by signing up for our monthly newsletter. Remember to check your email to confirm your subscription. Thanks for signing up. Click the link below to confirm your subscription to McSquare Doodles. If you're strapped for cash, look into classes at PetSmart and PetCo. Those classes are usually affordable and you may be able to sneak a peek. If they hold the classes inside the store, check the schedule for the next class. Go shopping without your dog during the next class. Watch the trainer and decide if that's a person you could work with. Check websites of various local trainers. Does anyone offer drop-in classes? You may get a deal for buying a package, but if you're skeptical about the trainer or the experience, just buy one class to try it out. If you like it, you've potentially found a truly flexible solution. If you're worn out tired one week, no worries. It's a drop-in class. You can catch the next one. Check with local dog clubs for affordable training options they may offer. If you have local Facebook groups centered on dogs, people may be sharing resources in there. Search Facebook for events that may be free or inexpensive. If Labradoodle Lizzie McSquare wants to be a therapy dog, then we have to take dog obedience training seriously. Lizzie and I attended Ruff House Dog Training & Behavior Modification's Basic Obedience Class for six weeks. We regularly practiced our skills: sit, down, stay, place, come, look, and leave it. How has a professional dog trainer affected your life?